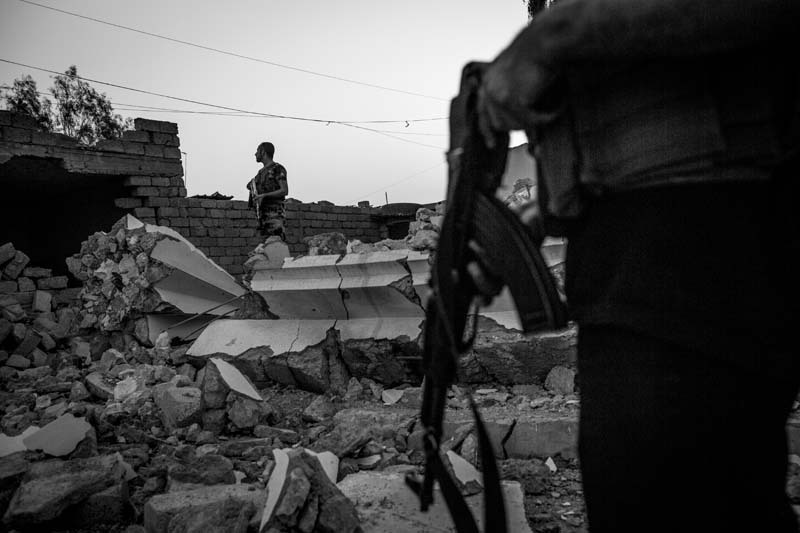 Iraq, Babire - In the front area in and around Babire the Peshmerga have conquered the territory of the ISIS zurük. It is Jersiden area. ISIS hate Yazidis, they kill them by the thousands. Here they have blown up all the houses of the Yazidis.